This detailed base is designed to fit our classic sculptures “Mountain Man” and either “Trapper” or “Spirit of the Plains” only. 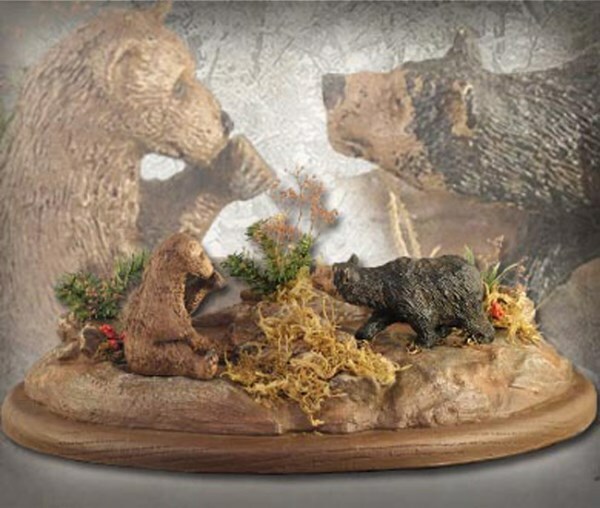 If you already own these sculptures by Michael Garman, now you can get the “Early American Diorama Base” to showcase them. Base only measures 5″ x 13.5″ x 9.5″. ©1990. Handpainted finish. #MG215. Early American sculptures sold separately.